Those attending the LA Motor Show can see the electric concept version of Honda’s popular Fit hatchback. 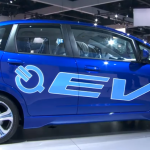 This electric vehicle is designed to meet the daily driving needs of an average commuter. 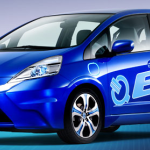 The Fit EV will have a range of approximately 100 miles per charge using the US EPA LA4 City cycle (70 miles when applying EPA’s adjustment factor), which is much more than the average number of miles driven daily by most commuters. 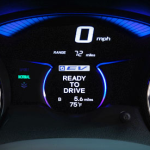 The 5-passenger Fit EV Concept is propelled by an electric motor derived from the FCX Clarity fuel cell electric vehicle and features a 3-mode drive system adapted from the CR-Z sport hybrid. 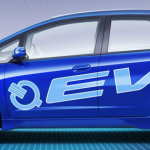 Battery recharging can be accomplished in less than 12 hours when using a conventional 120-volt outlet and less than six hours when employing a 240-volt outlet. 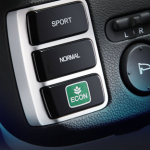 The Fit EV will come with a pocket-sized remote that allows drivers to interact with the vehicle without the need for an Internet connection or mobile phone signal. 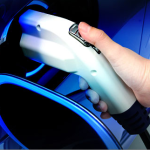 Giving the ability to remotely check battery charge levels, initiate recharging, and even activate the air conditioning while connected to the grid so that there is less drain on the battery. 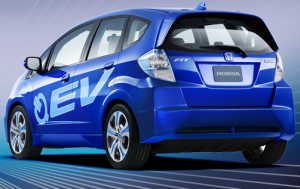 Honda will have an application for smartphones and a website to allow drivers to set charging notifications that will optimize utility rates and provide 24-hour roadside assistance along with a locator for public EV charging stations.